This is my absolute favorite dessert, ahead of chocolate mousse and tarte Tatin and even Paris-Brest. It takes a bit of time but it is well worth it. The pastry: It is a pâte sucrée. Mix 1 + 3/4 cup all purpose flour with 1/2 cup soft butter with 2 knives. Add 6 tbsp sugar, one egg yolk , 1 tsp vinegar, and 1/4 cup cold water. Form a ball and put in the fridge. The filling: mix 1/2 cup melted butter with 1/2 cup sugar, stir well. Add 3 eggs + the white leftover from the pastry, 1/4 cup whipping cream, the juice of two lemons and the zest of 3 lemons grated very fine. 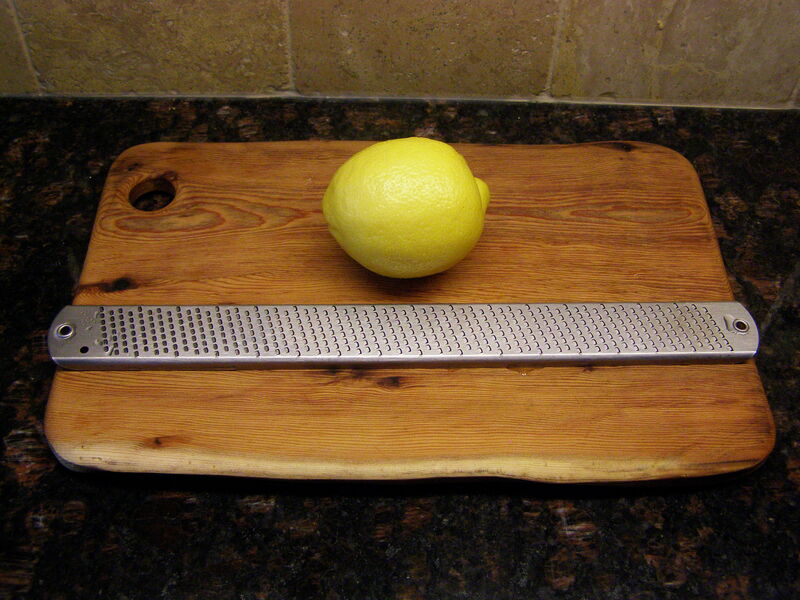 I have a grater from Lee Valley Tools which was gifted to me at farm Christmas many years ago by an anonymous Santa. It has been the best kitchen gadget ever! (so long as I clean it immediately). Back to the dough: Roll it out and spread if on a dish with a removable bottom if you have one, or a regular pie plate. Cover the dough with wax paper and then add a pie chain weight or dry beans or small pebbles or whatever to bake it 15 min at 375. The idea is that it does not rise. Take out, lower the oven to 325, remove wax paper and beans. Pour the filling and bake for 45 minutes until golden brown when your knife blade can come out clean. Decorate with a slice of lemon (remember to cut a thin slice before you squeeze the lemon) or other citrus and a sprig of mint! Cool and refrigerate 2 hours before eating. 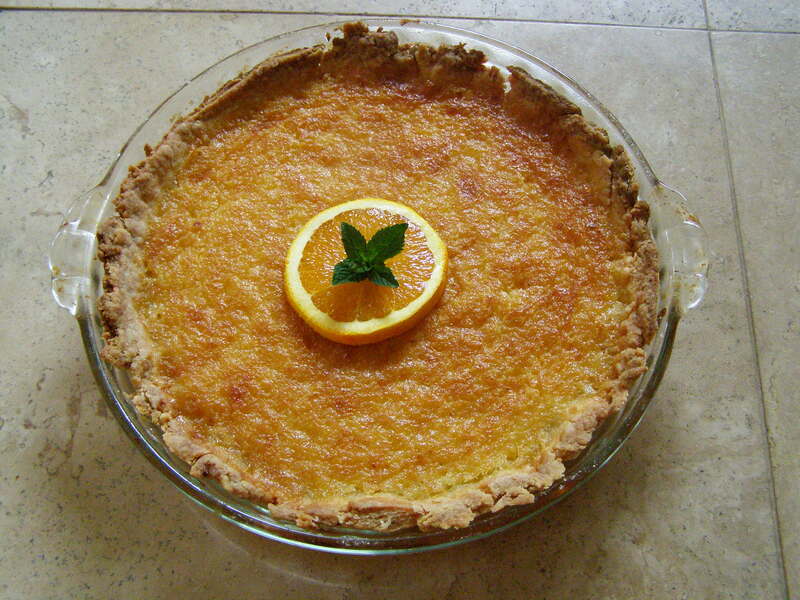 This entry was posted in Dessert and tagged food, lee valley tools, lemon dessert, lemon pie, recipe, recipes, tarte au citron. Bookmark the permalink. Oh, I forgot. I have that Lee Valley grater (zester, microplane) . It really works well, so, so sharp!. Quess I will use it to make this dessert for my parents when they come to visit. Thank you. This dessert was fantastic and we were so lucky to share it with great friends after a wonderful meal. My mouth is watering just thinking about it!. I am looking for the definitive lemon tart recipe, so I’ll happily try this. We had the most delicious Tarte au citron down the street from our hotel in Paris, and a good friend from Vancouver has been on the hunt for a tart that will measure up ever since she tasted their lemon tarts two years ago. It looks so amazing and the recipe doesn’t look complicated at all. I will definitely try this soon. Thanks for sharing.